This is the summary of consumer reviews for Sassy Pop N Push Car. The BoolPool rating for this product is Very Good, with 4.20 stars, and the price range is $5.99-$9.40. 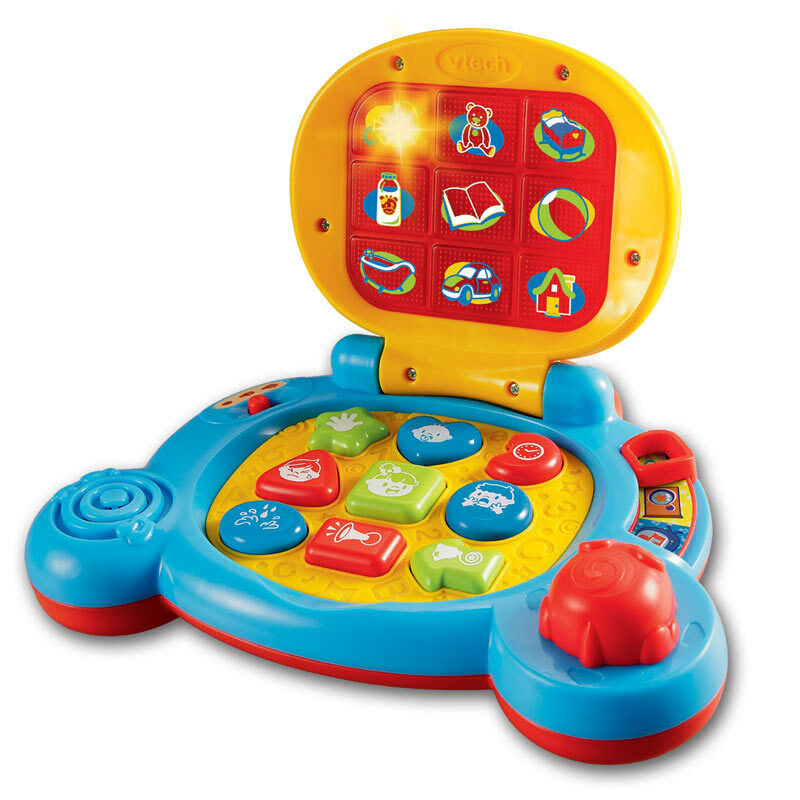 Sassy Pop-n-Push Car is a fun, simple and cute first car toy which inspires exploration and promotes cause and effect learning in infants. It is fun to watch babies pull the easy to grasp car back and watch the popping beads that hit the cars top. The car is great for crawling infants as it helps develop motor skills and promotes crawling. The car rolls nicely and at just the right resistance, on low pile carpet and wood floor. When the car is pulled back and released to go colorful beads pop, pop, pop inside the car's clear top. 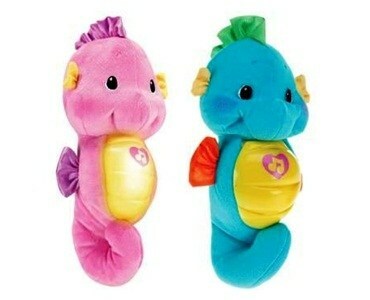 The popping sounds actively engage tiny babies and some babies use this as rattle too. This car is perfect size for little hands and can also hold kids' attention for good amount of time. 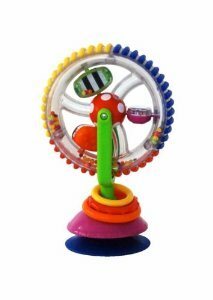 This car toy is sturdy, durable and soft rounded body is safe in baby's environment. 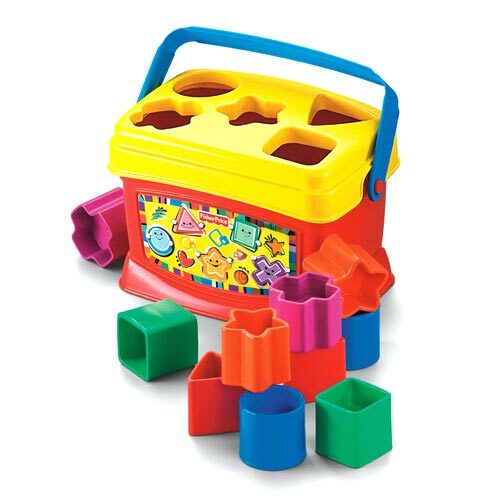 Some reviewers report that sometime this car toy does not roll on certain kinds of floors. Also, sometimes the colorful beads inside do not pop when car is rolled. 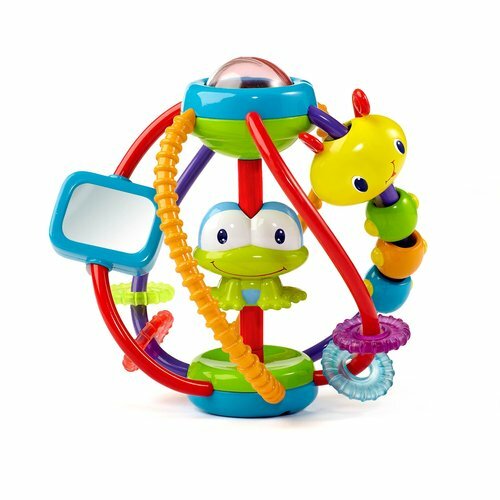 Overall, Sassy Pop-n-Push Car is fun, simple, inexpensive, brightly colored toy that encourages motor skill development and crawling skills in infants 6 months and older. the little balls pop when the car rolls forward. It even rolls on low-pile carpet pretty well. He's just rolling it back and forth, but if you roll it back it rolls forward on it's own. At 7 months, she's really enjoying it. It's the perfect size for her little hands to hold on to, and it rolls at just the right resistance for a crawler. She really enjoys watching the car during tummy time, also if you've wood floors, drive the car in reverse and it'll roll forward on it's own, saddly it doesn't roll by itself on the carpet or on her play blanket well but that's fine it still drives fine if you move it with your hand. it's spring loaded, so it rolls faster on bare floors than on carpet but works both ways. We got this for our 5 month old for Christmas. The reviews made it sound like the car was super tiny, I'm not sure how big their kids are but I think this car was the perfect size for our little girl, the noise it makes is great, not too loud, and the little colorful balls are just perfect!! I wanted something that made noise as it rolled. My son enjoys this toy. A cute pull-n-go toy I got for my 10month son. I bought this for my son's first birthday. I bought this for my 10 month old son, since he's not ready for the push popcorn popper toy yet. We got this for my son's first birthday. I got this toy for my son, and he doesn't really care for it all that much. 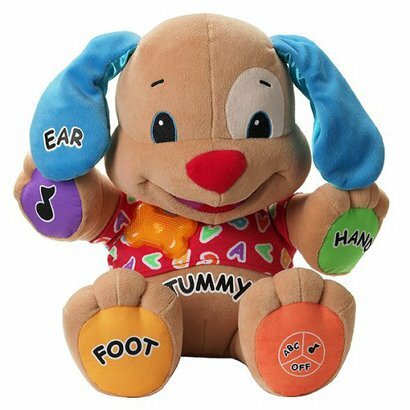 This toy says 6 months and up but I think it's more appropriate for babies 8-9 months when babies are steadier and have a firmer grip (at least in my experience with my son). We gave this for our son's 1st birthday. 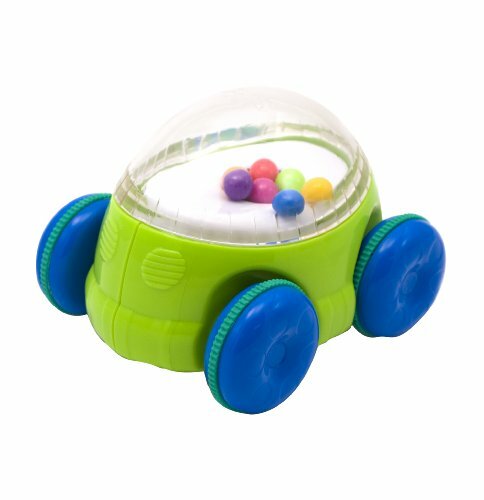 The pop n push car is small enough for little hands and a very simple toy. The car works well on hardwood floors not carpet. My 6 month old really likes this toy. 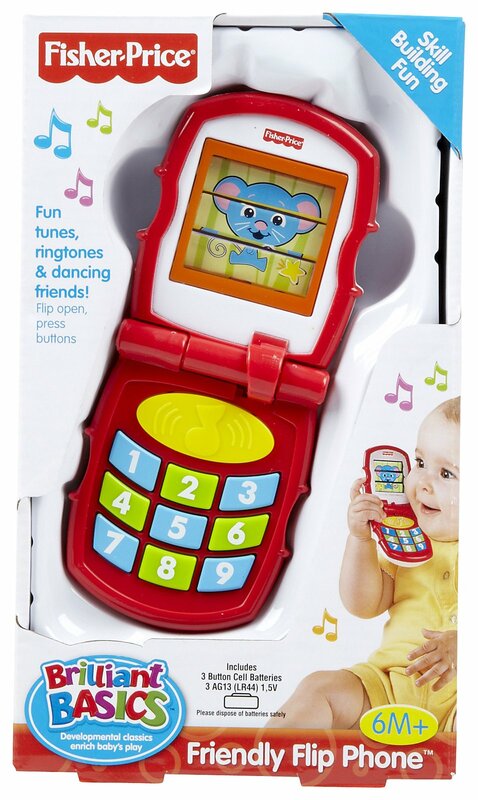 My daughter loved this toy when she got it at 9 months. My 10 month old plays with it all the time. Simple, and perfect for my 12 month old son to play around on the floor with. My baby enjoyed crawling after it at 6 months. I got it when he was about 8 months old but he really didn't start playing with it until 10 months. As he's barely 3 months old he hasn't been able to play with the toy yet but I'm sure he'll love it. She's 19 months now and still plays with it. I'd say this toy is good for ages crawling to 10 months or so. Although the balls never "popped" my son loves this car. I love the pull-back friction wheel motion, and the popping balls are so much fun. The popping balls keep his attention, plus it's brightly-colored. The popping balls are similar to the old ball popper we walked around with as kids but once we opened it the car was disapointing. Because of the smaller size the balls inside are rather small and dont really catch my daughter's attention like I thought it'd. He also luvs shaking it so the ball on the top rattle and the colors catch his eye. It definitely doesn't roll well on carpet but that was kind of expected, however it doesn't even roll that well on our hardwood floor and balls only kind of pop. She likes to shake it and hear the balls moving around inside. Kids love the "popcorn popper" push toy-- it's a classic. 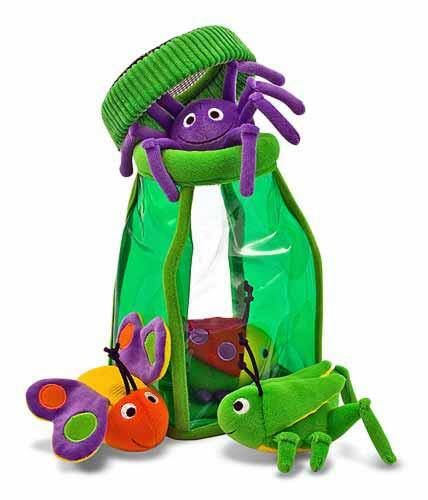 Crawlers will love chasing this toy. My child is 10 months and loves this toy. The popping car is a fun toy. This's a nice, sturdy toy. The size is about right for his hands, the popping sound catches his interest (even if the popping balls inside don't), and for the price, it's like getting two toys (toy car plus corn popper "vacuum" toy) for the price of one!. This's a fun toy for young children. Nice little toy and the kids like the popping (we've several popping toys) however it stopped wanting to drive forward (after you pull it back) on day 1.